Visit 9891-6 San Jose Blvd. << Send this store a message. This is a berrylicious classic! Looking to mix things up? Try a Strawberry/Cake Batter/Vanilla Gelati for a Strawberry Shortcake treat! 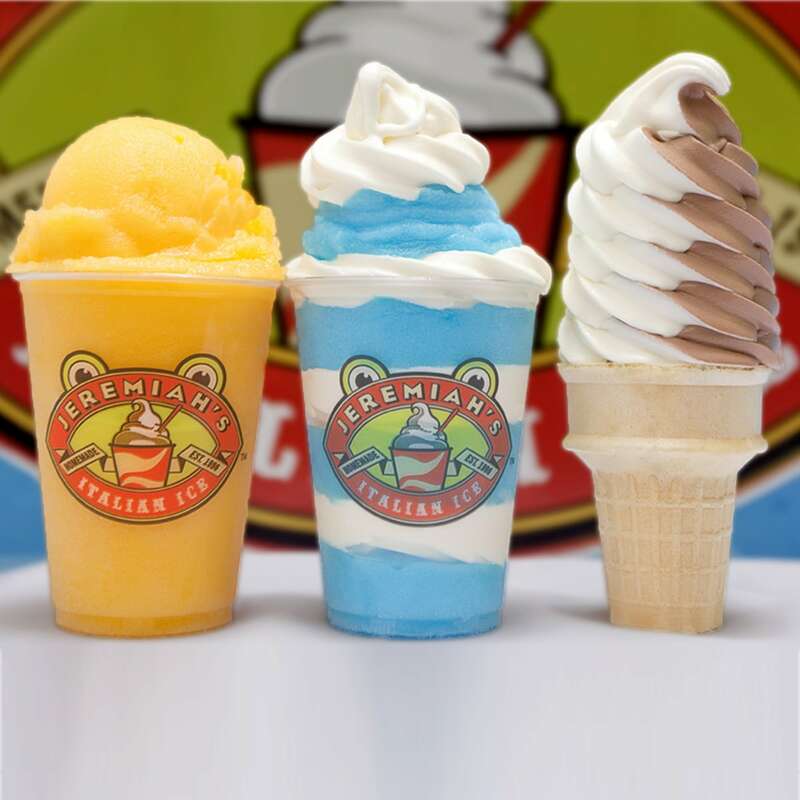 A tasty combination of our classic Strawberry and Lemon Italian Ice flavors. This refreshing flavor is a crowd favorite! Cookies & Milk meet Italian Ice with this classic flavor combination. This flavor is a fan favorite as a Chocolate, Vanilla, or Swirl Gelati! This decadent, creamy treat is rich and chocolatey with a minty fresh twist! 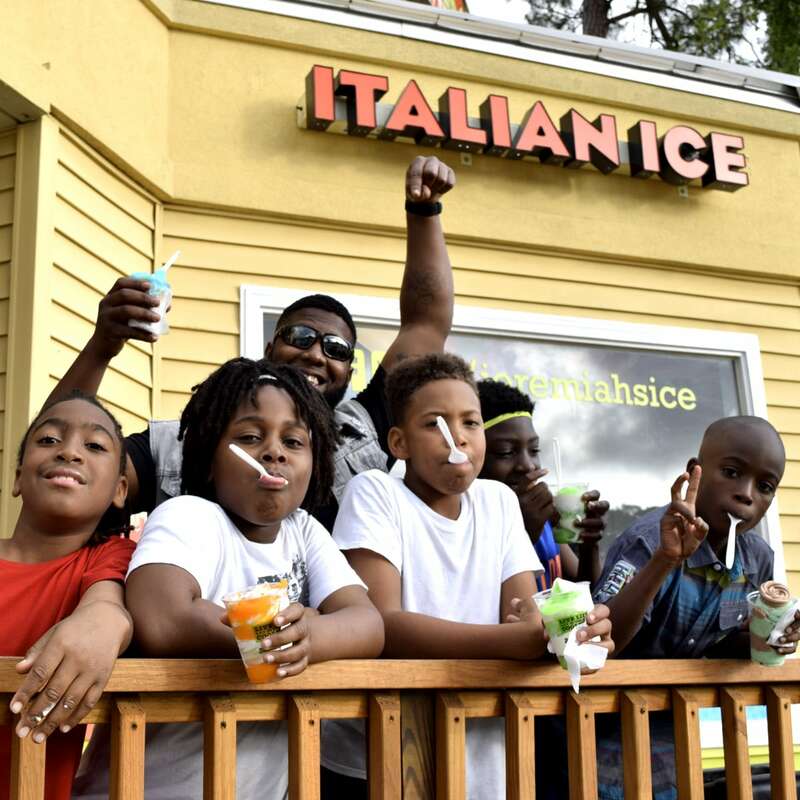 Enjoy a colorful taste of childhood with this classic Italian Ice flavor! A smooth and creamy treat featuring Biscoff Cookie Spread. Ride the wave of this latest dessert craze with Jeremiah's unique take on this spreadable goodness. This treat is straight out of the grove! 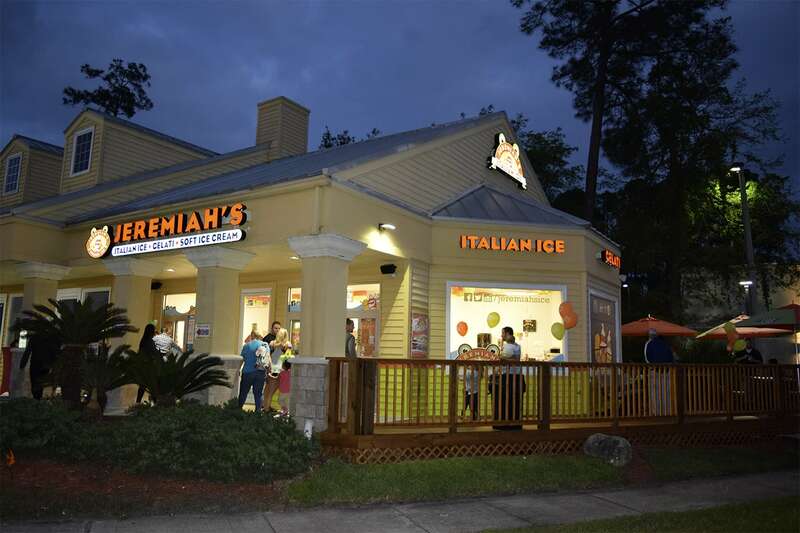 Try it as a Orange Smash/Vanilla Gelati for a classic Creamsicle flavor! Enjoy this rich and creamy Ice as visions of ocean waves and tropical sunny days whisk you away! A classic summer flavor featuring Coconut and Pineapple, this flavor is sure to transport your tastebuds back to the days of lounging by the pool in the sun. This tasty treat is sure to make you pucker up! Looking for something unique? 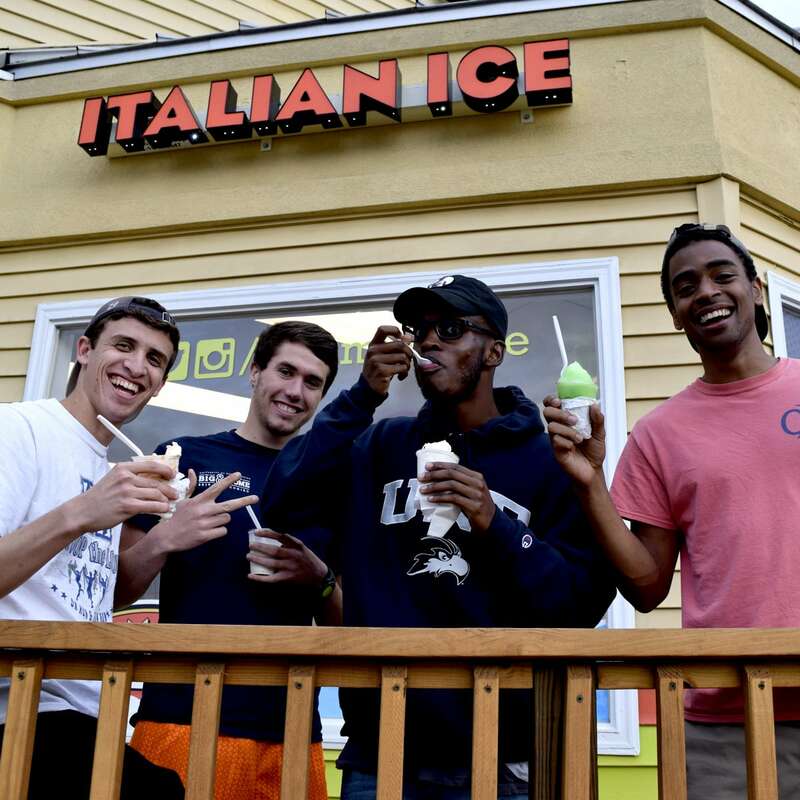 Try a Sea Salted Caramel/Green Apple/Vanilla Gelati for a Caramel Apple treat! Ride the wave of decadent Caramel-y goodness with this salty and sweet Italian Ice. 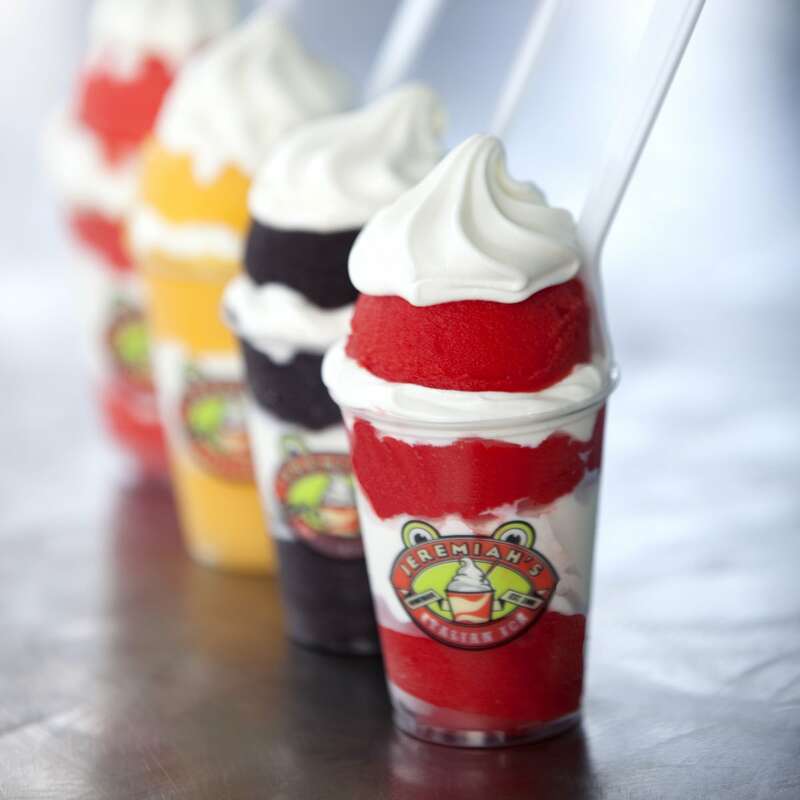 All the fun of your local carnival spun into a refreshing frozen treat! Take a trip down to the Keys with this tropical combination of Passion Fruit, Pineapple, Banana, Coconut, and Mango! And don't worry, sunburns aren't included. 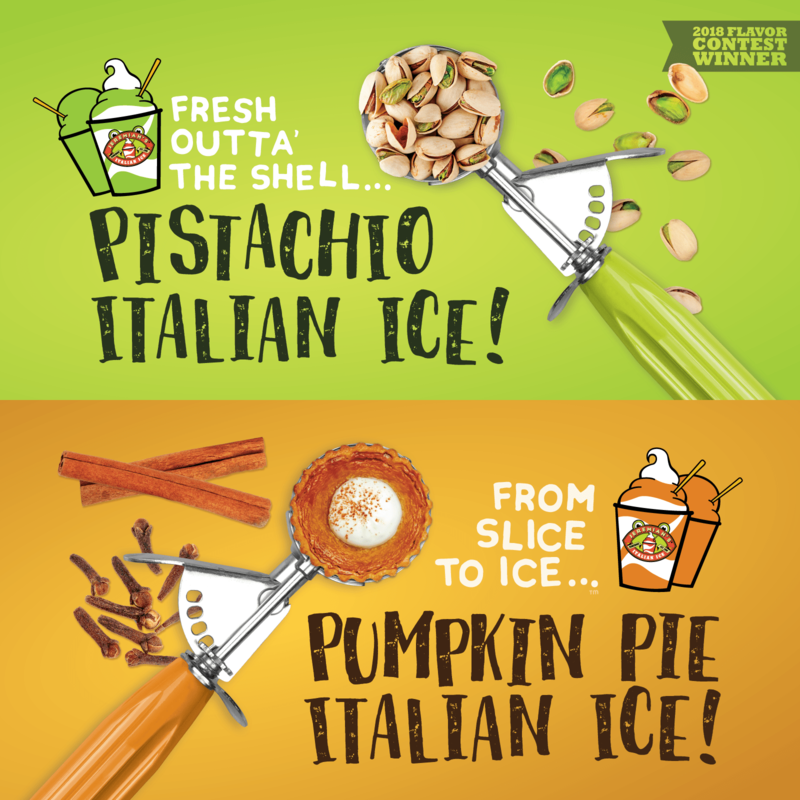 A zesty twist on a classic Italian Ice flavor. A fruity sensation that's become a Jeremiah's staple. Give it a try as a Mango/Vanilla Gelati for the ultimate tropical getaway! Who needs a vacation when you can be whisked away to the Bahamas with this refreshing twist of Strawberry, Lemon, Mango, and Coconut! This classic Italian Ice is rich & decadent in all the right ways! Our 1st release in our Batch series has returned and it's sure to refresh and impress! Looking for something sweet without the sugar? Let your taste buds fall in love with this refreshing treat! Prepare for a flavor explosion like biting into a fresh, juicy raspberry! This flavor is sure to satisfy. Try it as a Red Raspberry/Vanilla Gelati! Our bold, rich take on a classic cherry flavor. A go-to for fans of all ages, this refreshing flavor is sure to please! Looking for something a little exotic? Try this sweet and tangy concoction! Ramp up the decadence with a Passion Fruit/Vanilla Gelati! A Jeremiah's twist on a traditional Latin American beverage with vanilla and cinnamon flavors! Tastes just like licking the bowl - without all the mess! Complete this tasty treat with a layering of rainbow sprinkles for a birthday twist!